With an increased demand for space an urgent solution was required. The catch was they needed to continue to meet their supply obligations during the installation process. The 12m high stud allowed for a high density solution. 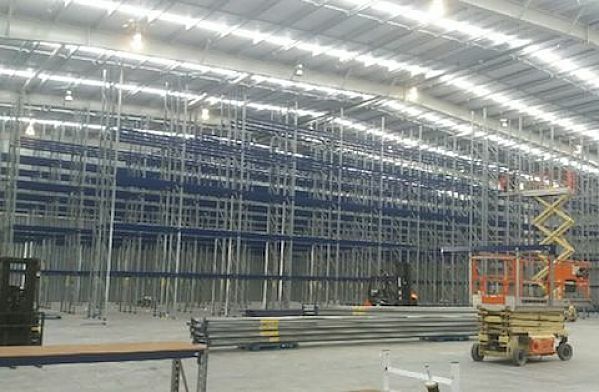 The weight of the product coupled with the height of the racking provided a challenge. The solution was to install 9.144m high frames, with a profile of 100mm x 95mm x 3mm, and 120mm box beams. Four frames per bay were required to achieve the necessary depth to cater for the carpet rolls. 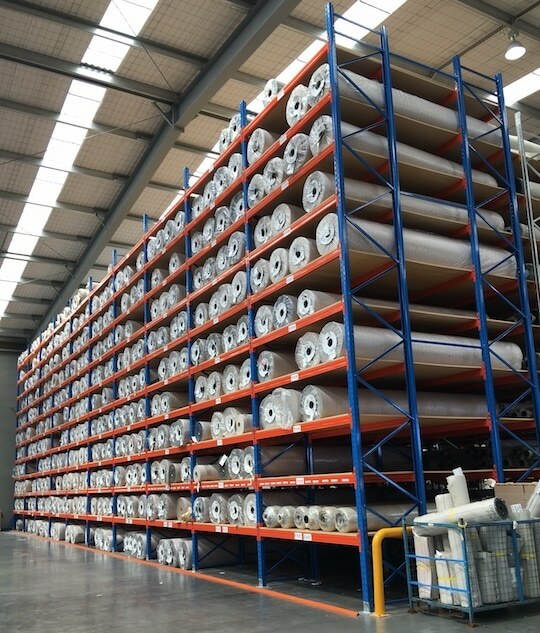 For ease of access flooring products should sit on a smooth surface to ensure they don’t catch on the storage surface when sliding stock in and out. The solution was to use MDF shelving which was installed in 4m lengths and 25mm thickness to maximise strength. Frame protectors were installed to prevent forklift damage to the frames. 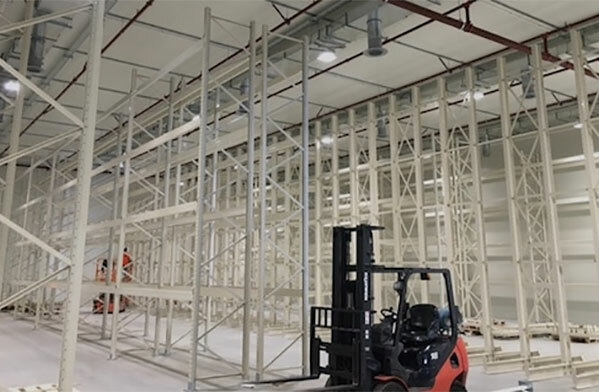 To ensure business continued to function smoothly throughout the renovation, Belgotex’s warehouse team worked closely with PRS around scheduling delivery of the pallet racking products and optimum installation times. 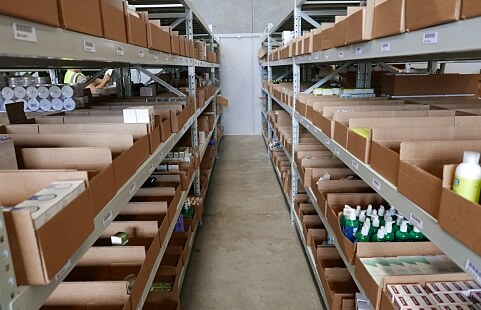 The end result was a high-functioning warehouse with everything in its place.